The Forest River RV Blue Ridge RV fifth wheel is a stylish camper that combines luxury with practicality. As far as interior appeal goes, the Blue Ridge contains entirely solid hardwood maple raised panel glazed doors and drawers, giving it the interior appearance you will love! Along with the look of style, the interior is also highly functional with a 42? LED TV with HD Steel Swing Arm for easy viewing convenience. Additionally, the Blue Ridge is outfitted with a centralized command center and monitor panel, so you can control the interior conditions of the RV in one place. All this on top of the extra amenities and options available make the Blue Ridge 5th wheel one of the best options on the market. For more information about how Fun Town can get you into a fantastic Forest River product like this, Contact us at the top RV dealer in TX today! You can also check out some of our other products, including our fifth wheels, travel trailers, toy haulers, and more! 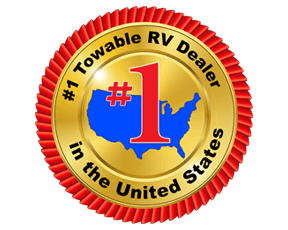 Use our RV search tool to search through our entire stock of new and used fifth wheels and to learn more.